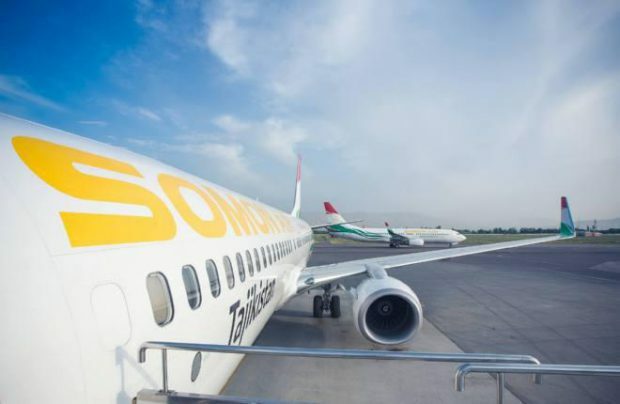 Tajikistan’s leading airline Somon Air is enhancing its flight training capabilities. The airline’s eight instructor pilots will soon obtain their approvals for conducting simulator training for the carrier’s flight crews. To have in-house instructors is crucial to maintain and advance professionalism of the airline’s pilots, the airline says. The eight captains have been trained as instructors in March this year at the premises of Delta Air Lines. They are now entitled to instruct pilots in the cockpits of Boeing 737-300/800/900. Somon Air operates six aircraft of the type. There are plans to expand these certificates to cover 737-800/900 simulator training. Somon Air’s instructors may now conduct training without resorting to the services of third-party providers. Bandishoev said that although financial savings is a relevant issue, in this case it is not a priority. “Above all we are targeting the airline’s professional growth, and raising the young generation of pilots, and saving money is only an afterthought. But of course, in a while the funds we invested into training will return,” he said. The savings may occur when the instructors conduct the training of pilots which is due every six months. However, there are other types of training, such as instructor checks and first office to captain training, for which Somon Air will still have to hire training organizations, Bandishoev said.